This project, funded by Australian Wool International is led by CSIRO and will provide a stocktake of published research into the welfare impacts of castration, tail docking and mulesing; alternatives to these procedures; and potential pain relief strategies. The project report will include a gap analysis and recommendations as to future research directions. ​Investigators: Alison Small, Ian Colditz and Andrew Fisher. 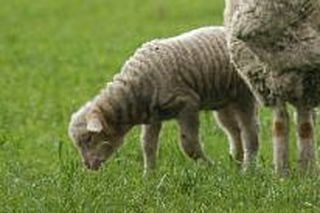 This project, funded by Meat and Livestock Australia and commencing in 2019, will examine the benefits and costs of ceasing Mulesing in prime lamb systems, while also examining the key drivers for farmer behaviour towards continuation of Mulesing prime lambs’ dams, and possible barriers for behavioural change towards Mulesing-free systems. These outcomes will inform future extension programs on appropriate approaches to encourage phasing out Mulesing in prime lamb enterprises. ​Investigators: Andrew Fisher and Carolina Muñoz. This project, funded by the Australian Centre for International Agricultural Research and concluding in 2022, is examining the goat value chains in Pakistan, including developing an understanding of the role of women small holder farmers on the management and care of animals. Its aim is to optimise small-holder productivity and profitability. ​Investigators: Rebecca Doyle, David McGill and Angus Campbell. For further details, please contact Rebecca Doyle.